Don't be fooled by the cover, this is an atmospheric, pumping groovy guitar and loop devices masterpiece from 1975. I catch myself enjoying this again and again, therefore this has now officially been put on my want list. Can recommend the Tal's bass solo in this Jeff Beck performance. It is just perfect. @Erik R yes, very good too, though 100% a different beast. I have never really listened to much Beck as I am more into such atmospheric guitars. But the bass is remarkable, surely someone to earmark. I never payed any attention to atmospheric guitars but I like Children Within (fairly similar with synth) so I will give it a go. Any other masterpieces that one shall look into exploring the area? Robert Fripp's work, though I only know him through his Brian Eno's collaborations. David Sylvian is awesome, I am just on the brink of adding his breathtakingly beautiful colaboration with the great Holger Czukay to my collection. Sylvian did a nice re-release of their two albums Plight & Premonition and Flux & Mutability in one remastered package, unfortunately after Czukay's death. His output is vast and difficult to get an overview. I reconnected with him through the Microphonics series and an album with just awesome drums that I cannot find right now. 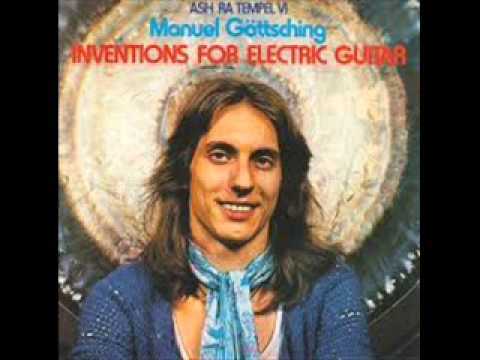 And yes, Manuel Göttsching, his Ash Ra Tempel . He is very good and I am discovering his work more and more. There is an obscure album by Walter Wehmueller "Tarot" that has one song for each Tarot card. I recently discovered it and it is very much of it's time but great. Manuel Goettsching is on it, the great Klaus Schulze and it is truly an all star band. The Guardian is said to have dubbed him "The Göttfather". He is not only an awesome guitarist but also fundamental in forming Techno, search out his E2 E4 and the connected stories. As of now I 'd not rate that one his best, but it certainly is his most famous and influencial. I am still discovering his work.